The Texan tried to make the state’s Republican primary a referendum on Mayor Bill de Blasio. It didn’t work. Ted Cruz had a bad introduction to New York, as the candidate who tried to score points in other states by ripping humane and community-oriented “New York values” as somehow unappealing. Then he made things worse. So much worse, that the conservative candidate who was all the rage as the New York competition ramped up two weeks ago, finished out of the running Tuesday night. Republican primary voters responded to Cruz’s New York (and New Yorker) bashing by absolutely rejecting the Texan. Billionaire Donald Trump was declared the winner of his home state just moments after the polls closed. With almost all of the New York Republican primary vote counted, Trump was winning over 60 percent, assuring that he would win the vast majority of the state’s 95 delegates. Finishing in second was Ohio Governor John Kasich, with about 25 percent. Cruz was at just 14.8 percent statewide—a devastatingly weak finish for a candidate who has billed himself as the only viable alternative to Trump. It was even worse for Cruz in key New York City boroughs where the Texan had campaigned and spent heavily in hopes of breaking conservative voters loose from Trump. On Staten Island, Cruz was at just 7.9 percent. Manhattan voters gave Cruz just 13 percent, while providing Kasich with a narrow lead over Trump (and the prospect a few delegates for the Ohioan). Ted Cruz seemed to think he was running against Bill de Blasio. But very few New York Republicans got his point. Cruz was never going to win New York City. But the candidate who bashed “New York values” did not just lose. He collapsed. New York City gave the Texan no quarter. With a little humor and self-deprecation, Cruz might have been able to talk his way out of his “New York values” swipe at Trump by explaining that, hey, he was appealing to voters in South Carolina back in January. How could he have known that his ridiculously extreme and mean-spirited candidacy would survive long enough to compete in a New York primary in April? But Cruz had never been good at humor and self-deprecation. 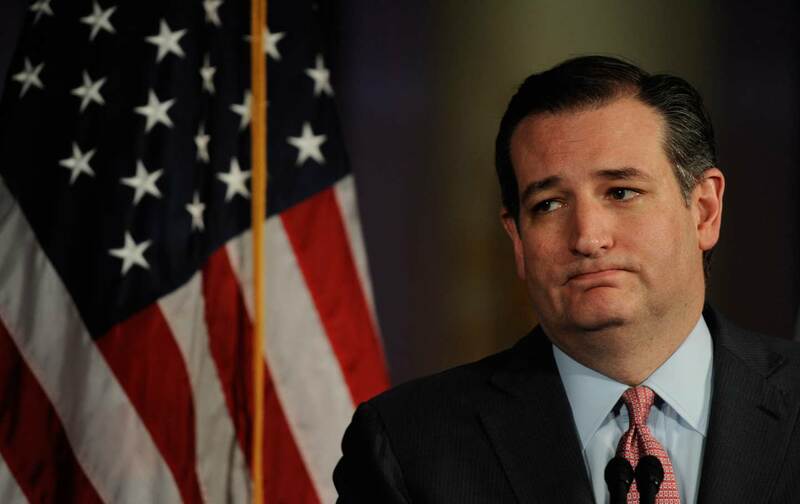 So it was that, while Cruz arrived in New York on a high note, he left to the dead silence of complete rejection. That was a bad break for Cruz, as the New York race was an important one for him. He had gained traction with a solid Wisconsin primary win In April 5, and he needed to build on it with a credible showing in the Empire State. To that end, the Texan struggled mightily to suggest that his recent expressions of disdain for socially-liberal “New York values” weren’t attacks on the great mass of New Yorkers who embrace those values. Unfortunately for Cruz, he could not help himself. He had to go for someone’s jugular. Instead of donning an “I [Heart] New York” T-shirt, the senator started attacking New York’s progressive elected officials—especially New York Mayor Bill de Blasio. It was a silly strategy. Cruz and his campaign imagined that they could win over Republican voters by airing radio ads attacking the Democratic mayor with a fury that would have made Joe McCarthy blush. The city’s Republicans saw through the Cruz charade, and dismissed his candidacy. Bashing de Blasio got him nothing. That does not mean that New York Republicans have embraced their city’s mayor — or his progressive politics. But hating on de Blasio did nothing to advance Cruz’s standing. And what of Bill de Blasio? As Cruz was collapsing, the mayor was celebrating. His candidate, Democratic front-runner Hillary Clinton was sweeping the state by a 58-42 margin—and dominating the city of “New York values” with even stronger numbers.